artist, performer, and record producer. She was born and raised in London, England to Nigerian parents. Her mother is from Northern Nigeria while her father is a native of Ife in Ondo State of Nigeria. Seyi has two elder brothers and one elder sister. She and her siblings were raised by their single mother. Seyi attended the Command High School, Maryland, Lagos. After some classes in the Command secondary school, She went back to London where she complete her undergraduate studies. She studied music at a local UK college, and afterwards, proceeded to study Business Management at the University of East London. Seyi’s late mother being a chorister, and her sister being a music composer for TV went a long way in influencing Seyi to become a musician. Apart from the two, Seyi’s brother used to be a radio and club disc jockey. This also influenced Sey Shay to start performing at the age of 16, and she was part of her secondary school choir. While at London,Seyi performs for the London Community Gospel Choir during their world tour to 13 cities in Japan where she was highly applauded for her performances. Seyi started her career in music when she signed a record deal with No Apology, a record company affiliated with George Martin (commonly referred to as the "Fifth Beatle"). In the year 2006, Seyi teamed-up with some other individuals to form a girl band they called Boadicea back then in UK. The group were managed by Ron Tom, the founder and manager of All Saints and Sugababes. Two year after they were formed, the band separated. Shay was one of the participants at the From Above UK singing audition. 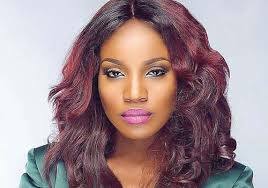 At the end of the audition, she emerged as the lead vocalist for the defunct Boadicea group. The group which consisted of five girls was then signed by Mathew Knowles' management company after performing for him. They were taken to Houston where they underwent vocal and dance training. The group supported Beyoncé while she was in the UK for her I Am... World Tour. They presented an award at the 2011 MTV Europe Music Awards and their own MTV reality show was called Breaking From Above, a reality show that was aired in more than 166 countries around the world. When the group later disassembled, Shay explored the opportunity to continue her management deal with Matthew Knowles, and eventually secured a recording contract with Sony. Flytime Music also invited her, and Shay decided to joined them. Over her career, Shay has worked with Justin Timberlake, Brian Michael Cox, Darey, Bilal, Michelle Williams, Chip, Rob Knoxx, H-Money, and Cameron Wallace.